four sweet kids..two with diabetes: Can I Get You a Towel? Let me first blah, blah, blah about my family...to make you W-A-I-T for the winner! hahaha-I know, it's not funny. But seriously, you care...right? We took Clay to the eye doctor (our sweet friend, Dina-she Rocks!! ), and got a complete exam-his First. Long story short, he needs glasses! He got a cool pair (momma steered him towards plastic instead of those breakity wire ones with little metal nosepieces!). They are super cute, and he should have them by Tuesday. Then we saw Kung Fu Bear (According to Ethan) (I couldn't correct him yesterday, it was too cute). I have to tell you, it was a sweet story. A story of adoption, finding out who you are, finding inner peace, and woven in was the baby Moses story! Can I tell you about the Moses bit without spoiling the movie? I'll try! Have you seen the first movie? Po Panda was raised by a goose whose specialty is making noodles. 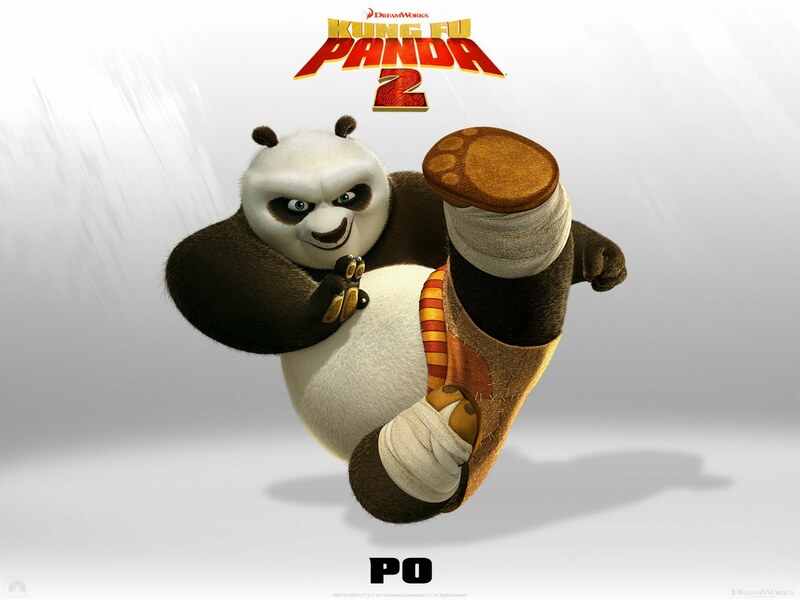 Po wants to see who will be chosen to be the Dragon Warrior, and come to find out...it's Him! Let me know what towel color, what fabric (specific or color/style, I have tons of fabric!) for the letter, and what name you want on it! : ) I'm ready to get started! To register for the next contest, make sure you are following this blog so I can contact you, and leave your first name in a comment between now and Tuesday at 9pm! I won!!!!! I'm SO excited and appreciative!!! Thank you!!! A pink towel for Madeline would be wonderful. I'll hang it in her bathroom, which is a pale pink color (so any color pink will work). Honestly, Holly, both the Madison and Stella towels that you made were wonderful, and color wise they'd both be perfect. I'm just so excited to have won and would love any creation you send. Not picky here! Many thanks! I'll send you a message with my address. My kids are eager to see Kung Fu Panda 2. They loved the first one. YAY for Heidi!!! One special lady for sure. Congrats Heidi!!! You can sign me up for the next, too! aww congrats heidi, not a nicer lady to have won! I can't wait to give another one away-I had fun working on Heidi's!